Tapestry is a dual concept restaurant under one roof. Lead by a husband-and-wife duo, Megann War, and Kevin Walsh, this new restaurant located just steps away from Fenway Park, got its namesake for the symbolic way tapestries interweave stories, culture, and events, all in one space. The restaurant is direct representation of War and Walsh's culinary viewpoints, both deeply shaped by work and personal experiences. Alongside design firm, Dyer Brown, the couple infused their passion for travel into both designs (and menus). The first part of the duo-restaurant is the beachhouse-inspired front room, The Expo Kitchen. This space is swimming in natural light and exposed brick, masterfully balanced by modern restaurant chairs and sea-inspired decor (sea urchin lights and “sea glass” countertops). 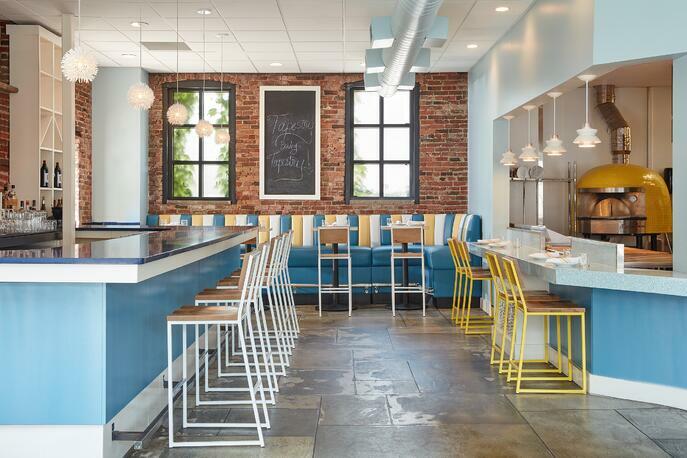 To help bring the casual beach-inspired aesthetic full circle, designers matched the yellow-and-blue-and-white-striped banquettes to the vibrant Brady Chairs and Brady Barstools, effectively creating a cohesive palette throughout. 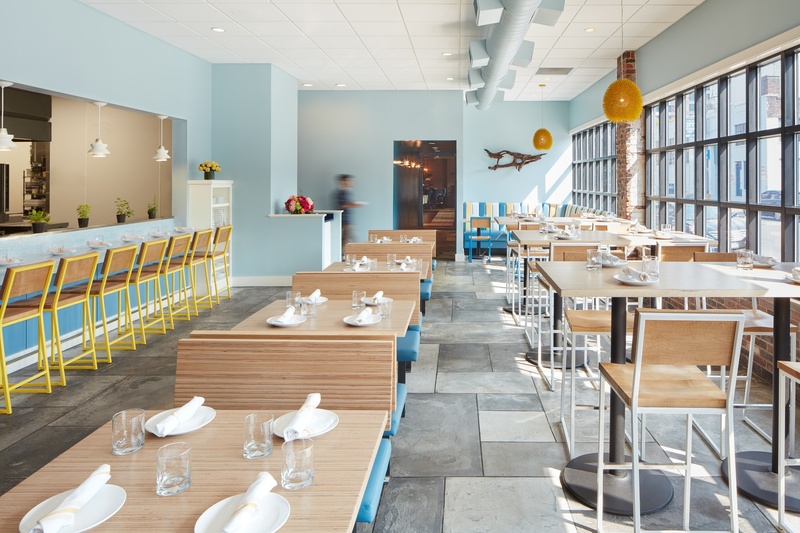 The front room (Expo Kitchen), which seats about 75, not including the 26 seat private dining room, or the spacious patio, really encompass the New England beach vibe in both design and menu. Wood fired pizzas, fresh shucked oysters, and a small menu of creative small plates keeps things casual, but as you move to the back of the restaurant the mood and the design seamlessly transforms into a Havana-inspired lounge serving elevated Cuban fare. The concepts beautifully cohabitate and complement each other, much like Walsh and Ward’s approach to food and cooking. According to an interview with Zagat, Walsh takes more of a soulful approach, whereas Ward shines with plating and technique. 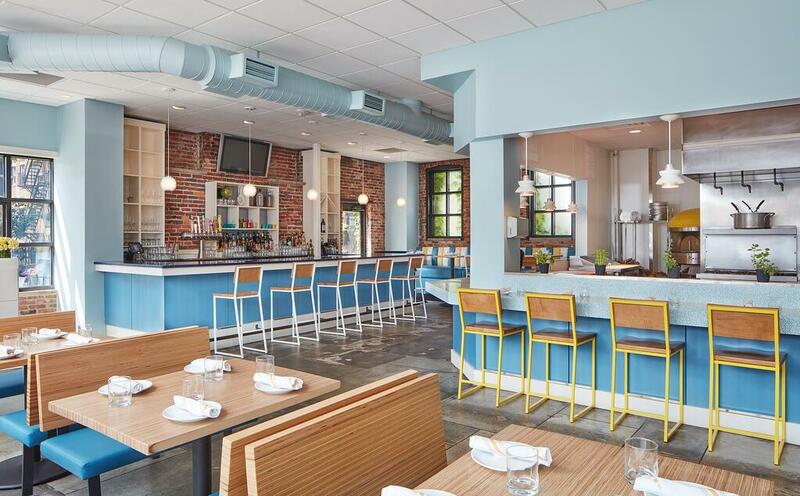 Dyer Brown successfully created a warm, welcoming, modern restaurant with their use of color. Multi-colored restaurant chairs and barstools have acted as a refreshing breath of fresh air for the restaurant and hospitality design world and a welcomed departure from the industrial aesthetic. 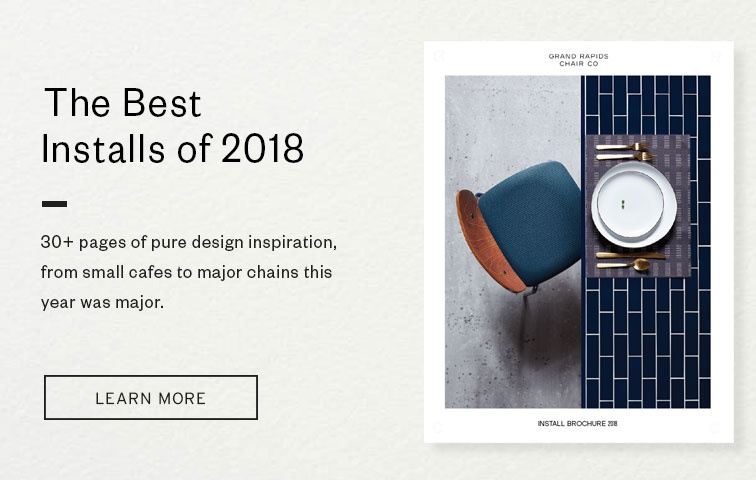 For more restaurant interior design inspiration that celebrates color and creativity be sure to check out these spaces with colorful restaurants chairs or download our newest Look Book!